Photographers & photography of the Eastern Sierra, Mono and Inyo Counties, Calif. 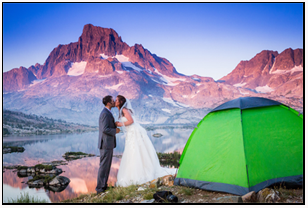 Adventure wedding photographer Tim Halberg loves inspiring and being inspired by couples who are obsessed with being outdoors, with seeking the next adventure, flirting with a sunburn, who aren’t afraid to get a little rowdy and live to be their authentic selves. If your obsession is traveling the world, mountain biking, backpacking, shooting, golfing, hammocking, exploring, getting lost on purpose, Tim Halberg is a GREAT fit for you. Tell your story and find an adventure to share and photograph.